So it has reached that time of the year when we are all looking for those late minute March ski deals. Skiing at this time has several advantages. Firstly, the slopes will be significantly less busy than in February. Half term has finished and you can look forward to cruising the slopes without bumping into too many groups of screaming 5 year old kids. Also, the sun is out for longer and you can expect to return home with a tan. Lastly, everything is significantly cheaper. Accommodation prices are likely to be slashed, and ski hire companies will be offering large discounts on their normal prices. However, there is no denying that the further we go into March the more unpredictable the conditions become. More sun often means less snow. However, there is sure fire way to know for certain whether the conditions are up to scratch. Piste webcams give a live feed of the snow conditions on the mountain. They are updated every couple of hours to give you accurate picture of what the snow is like. There are often several cameras positioned on the slopes to give you a good general overview. Cameras are not just placed at the highest point of the best piste in order to give a biased portrayal of conditions, but also on the lower slopes where it may be getting a bit slushy. 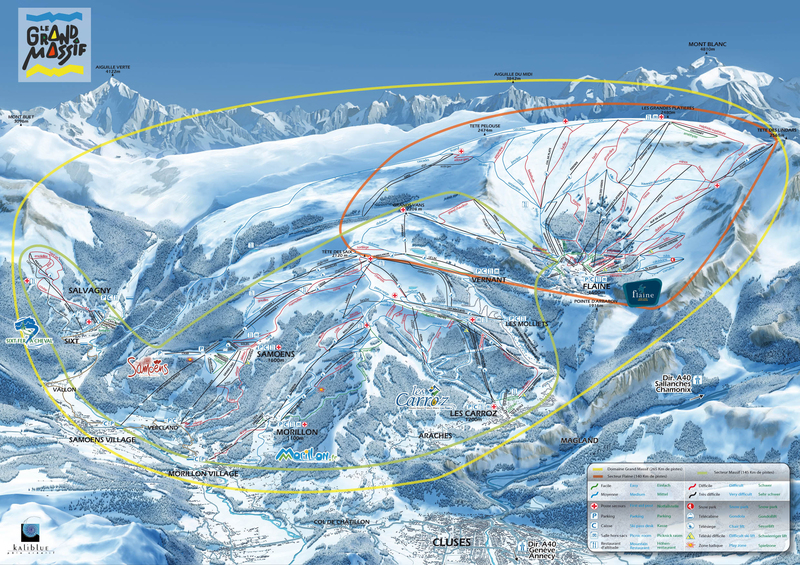 Get your full-sized Grand Massif Piste Map – Samoens here. 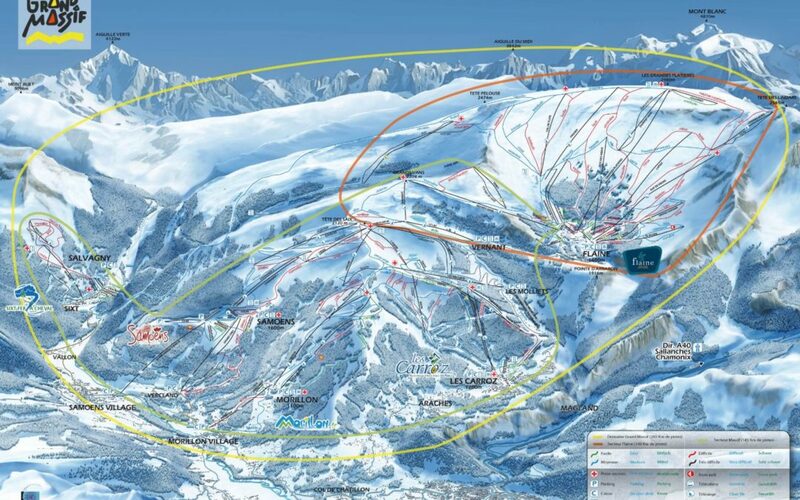 Le Grand Massif has a comprehensive set of webcams to cover Morillon, Samoens, Les Carroz, Flaine and Sixt. It is a good idea to have a look at the webcams along with a reliable weather forecast to ensure that there will be plenty of the white stuff. The proximity of Le Grand Massif to both Lake Geneva and Mont Blanc ensures that there is often plenty of late snow fall, but it is always a good idea to check! We have found over the years that www.snow-forecast.com is a reliable weather forecaster. The full list of webcams for Le Grand Massif can be found at www.grand-massif.com/webcams.